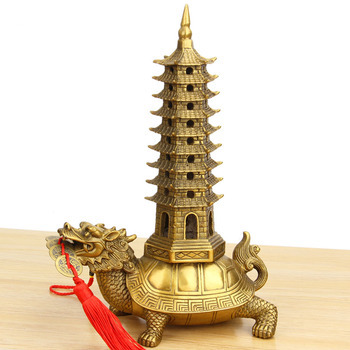 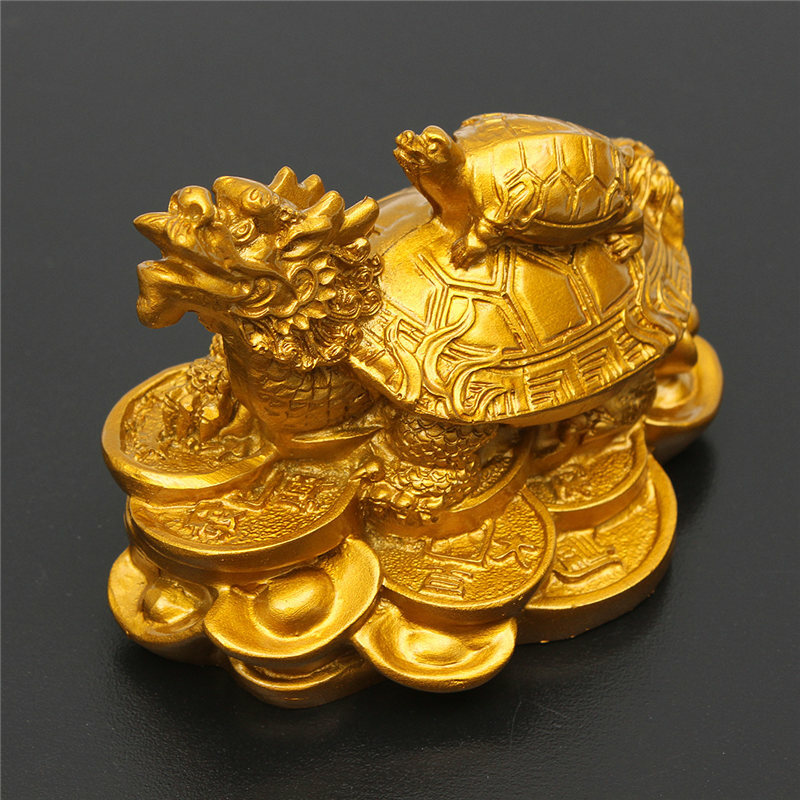 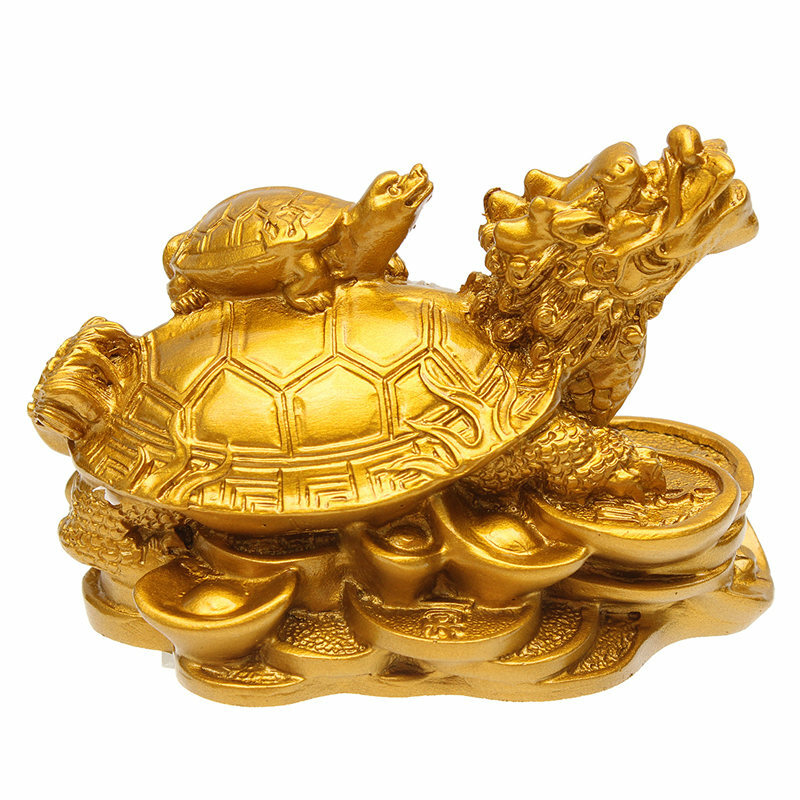 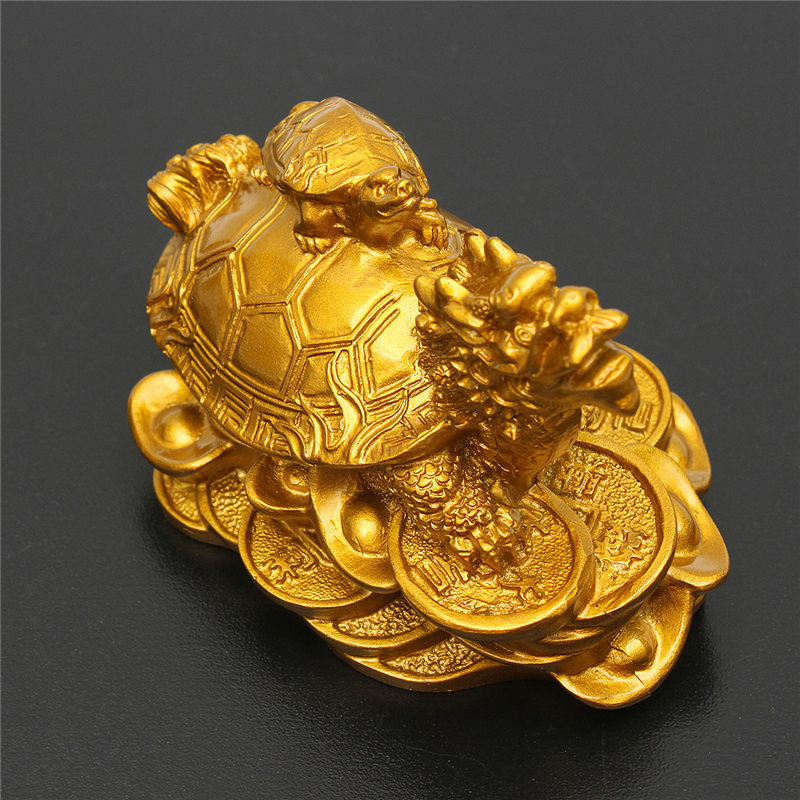 Feng Shui Dragon Turtle has the head of dragon and the body of turtle. 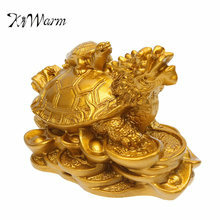 Turtle is a creature that can live up to several thousand years. 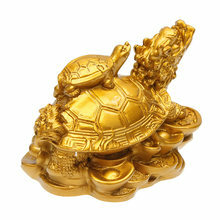 It symbolizes longevity. 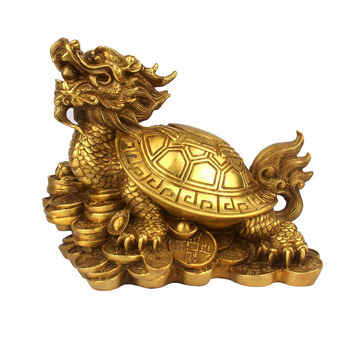 The dragon symbolizes career success and courage. 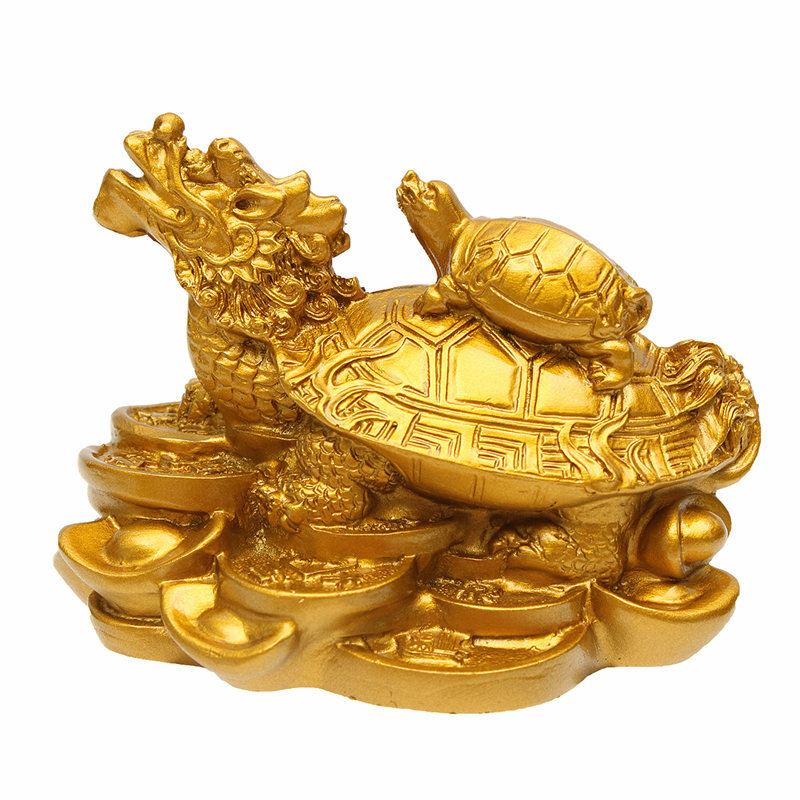 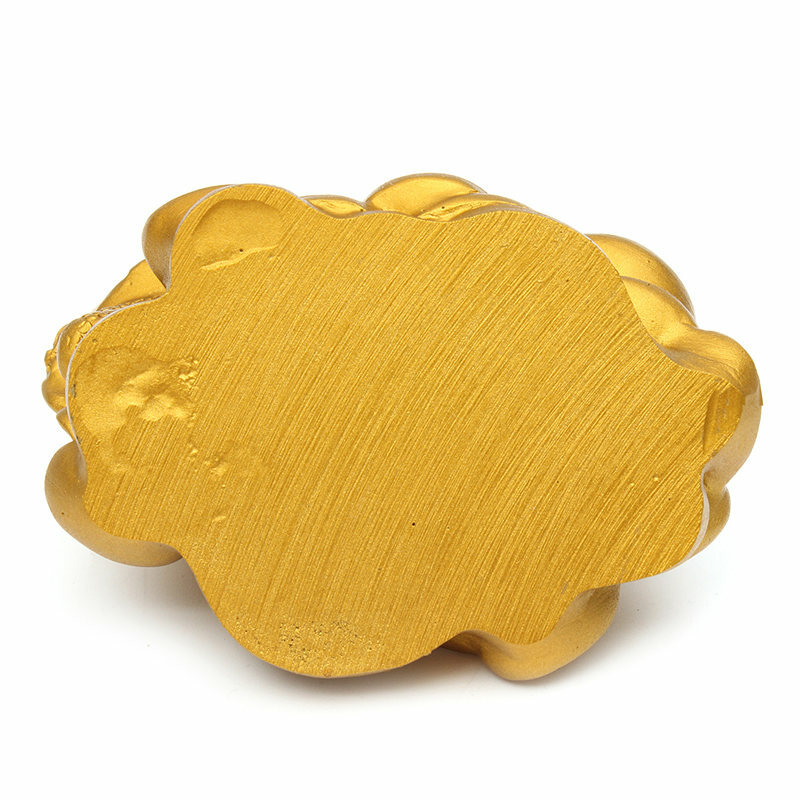 It is sitting on a base of ingot and coins to represent prosperity and wealth. 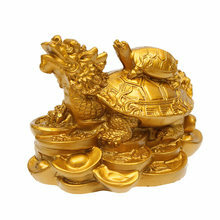 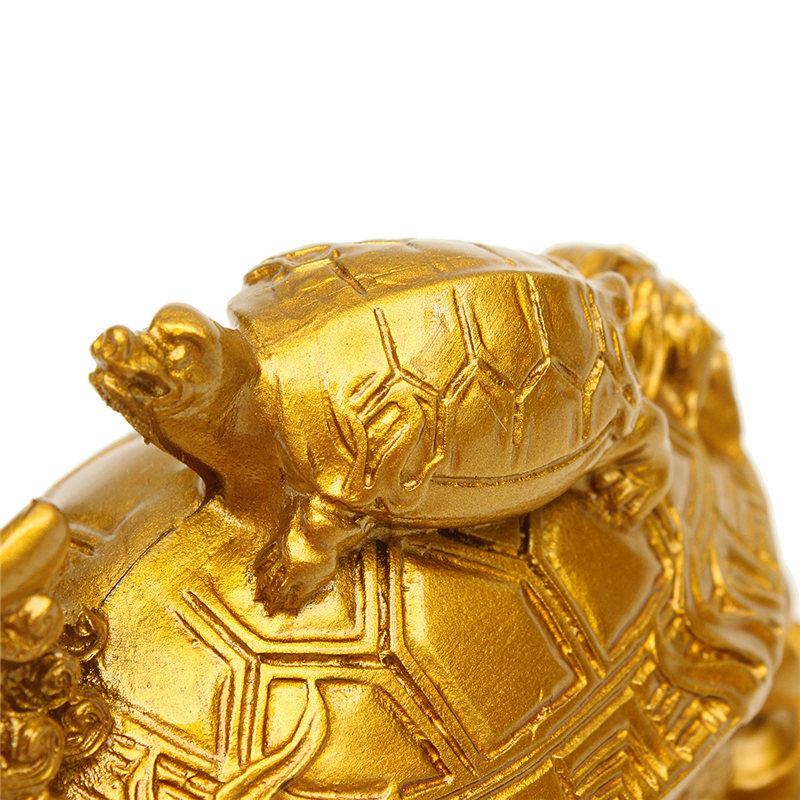 One little baby turtle on the back also represents good beginning and wonderful descendants’ luck. 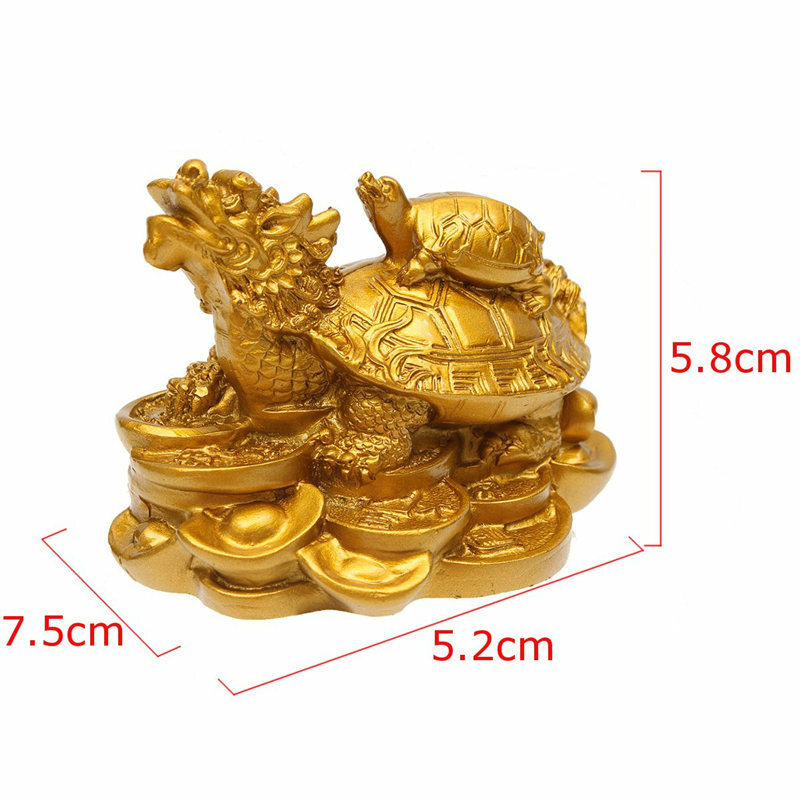 Note: Please allow 1-3cm error due to manual measurement.Pls make sure you do not mind before you bid.